Back to the Kale Salad! YUM! This one is so creamy and deelish it will please even people who think they don’t love kale. This dressing can be used with any other salad or even as dip! Massage Kale and Dressing in a large bowl. 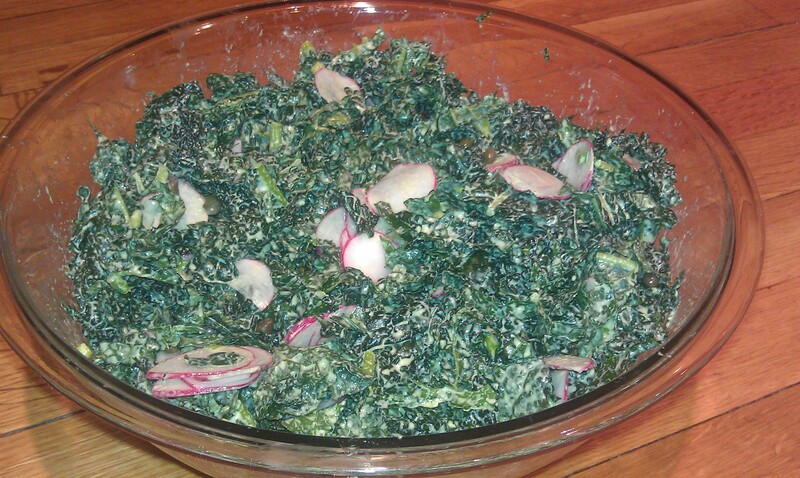 Use your hands to massage and make sure to really get in there to soften the kale and evenly distribute the dressing. Add radishes, capers and avocado and toss. Place all the ingredients into a high speed blender and blend till creamy. Chill until ready to use and shake well.